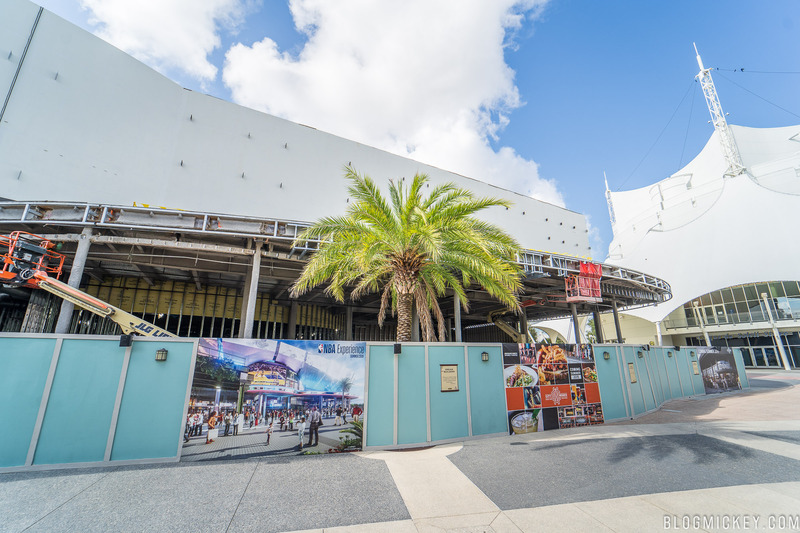 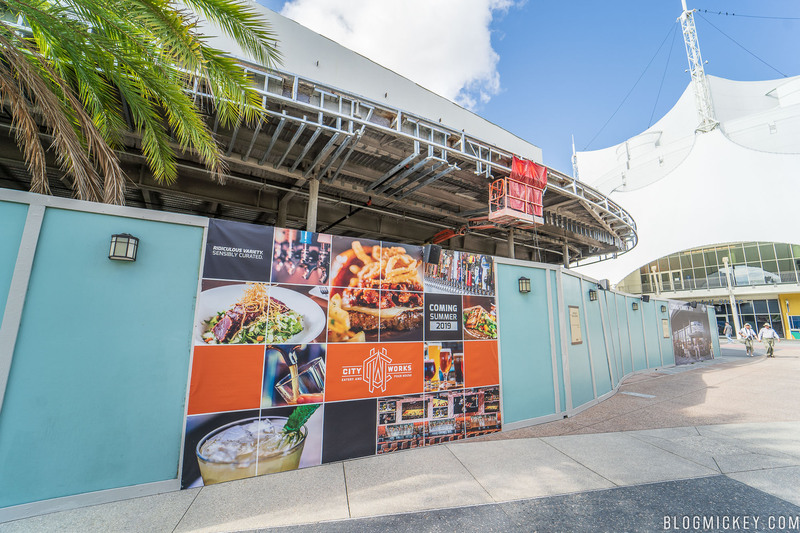 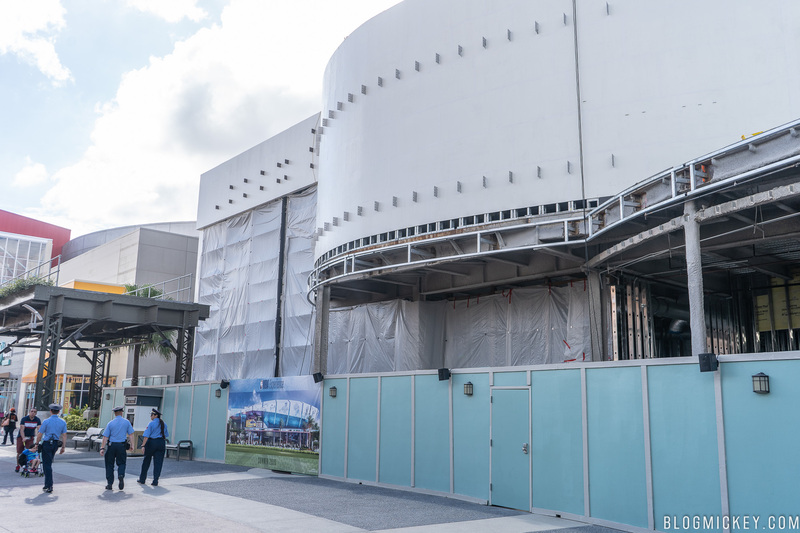 We made it out to Disney Springs this morning to check out the latest progress on The NBA Experience and connected Cityworks Eatery & Pour House. 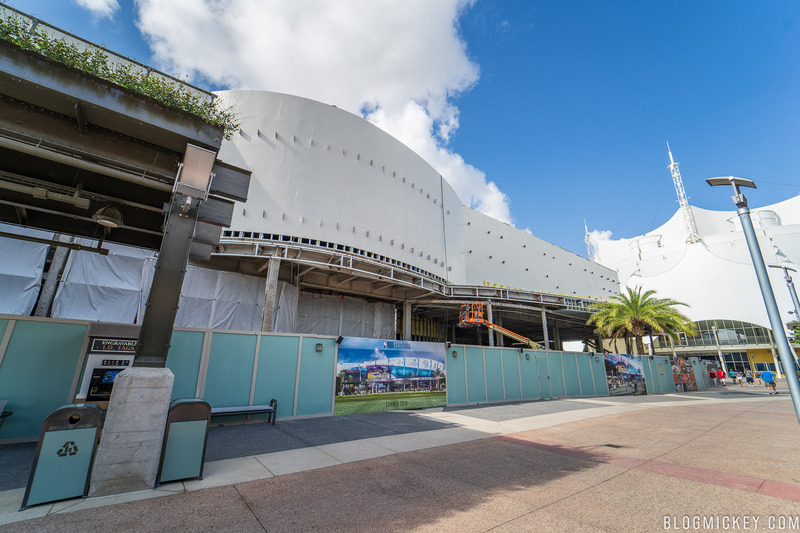 First, we’ll start with The NBA Experience structure. 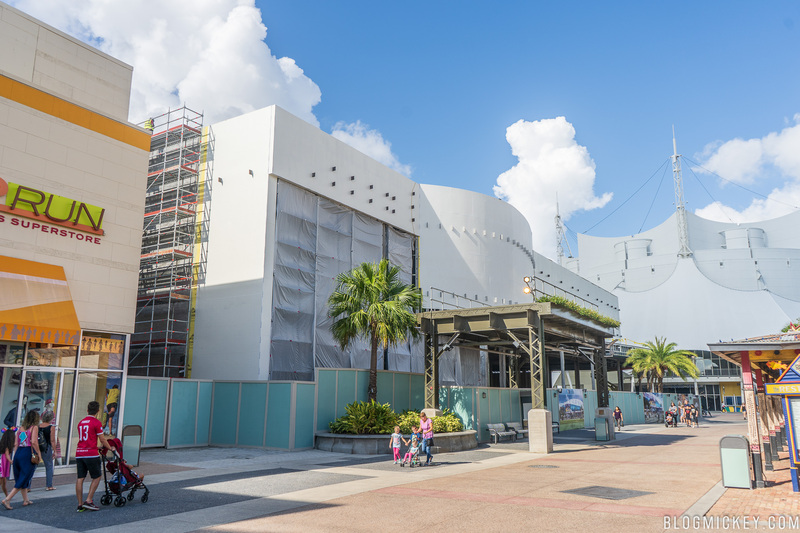 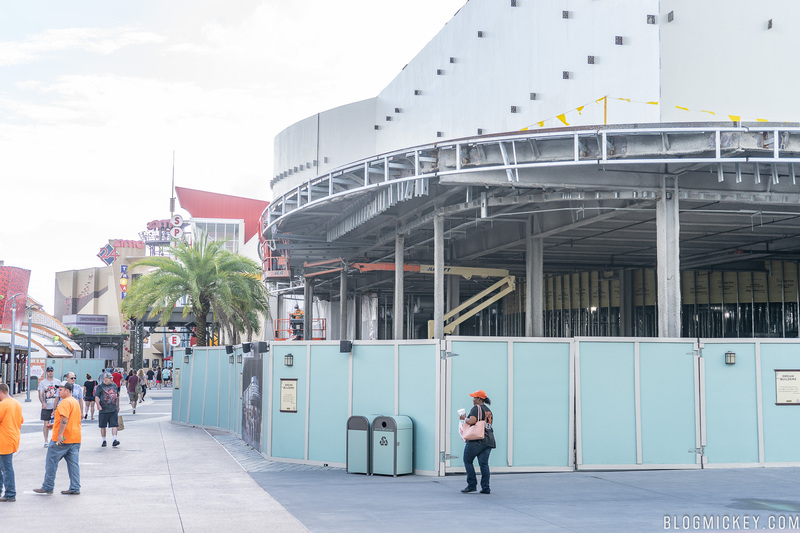 The structure is using the entire footprint of the former tenant – DisneyQuest. 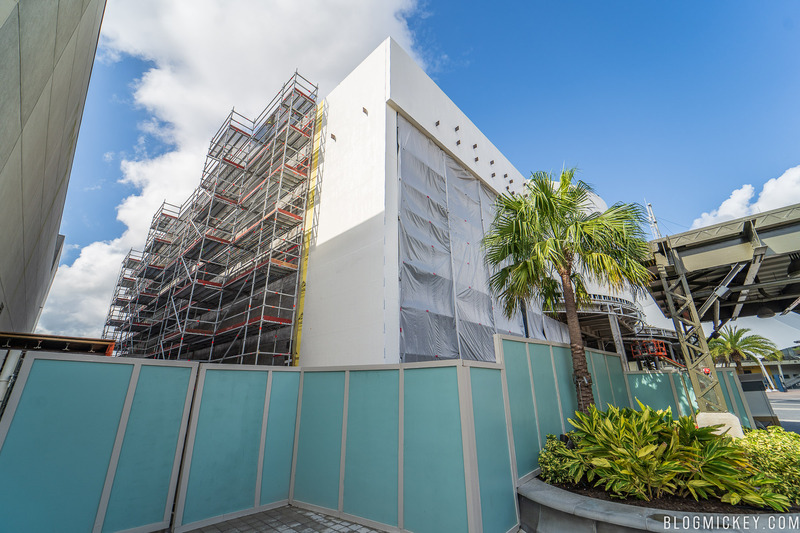 We can see that scaffolding has covered the entire eastern wall of the structure. 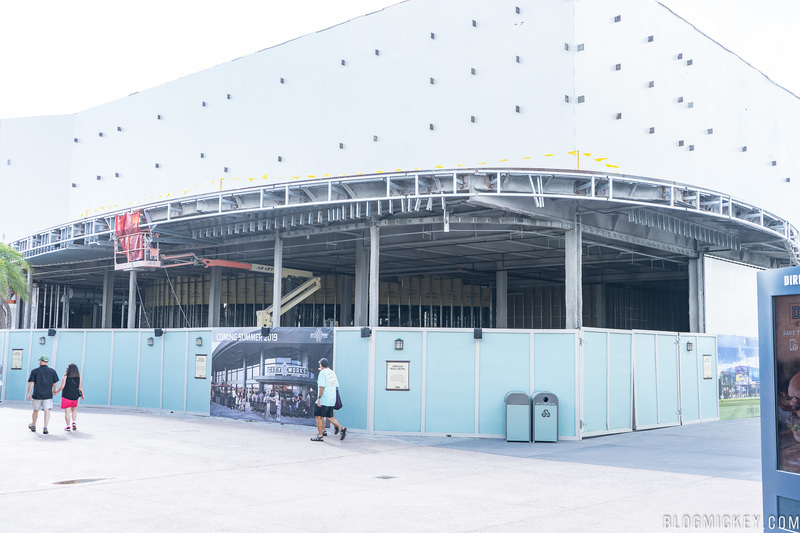 A large, two-story hole is present where a wall of glass will be installed when completed. 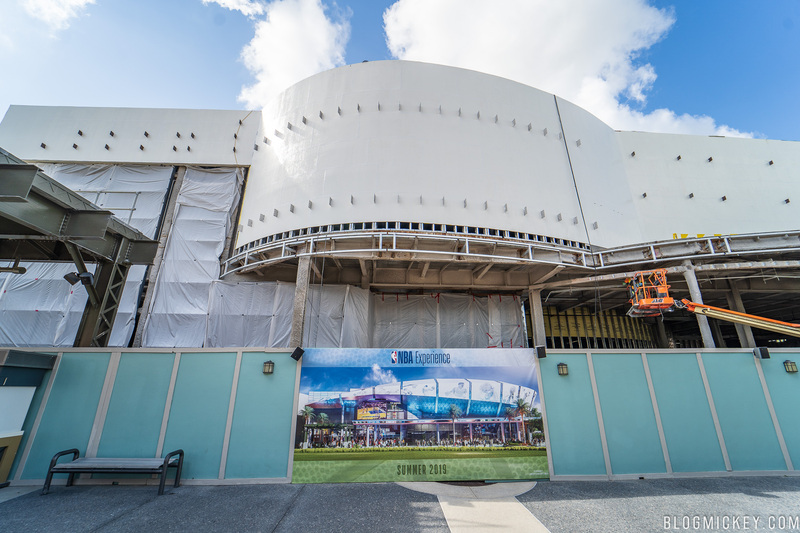 Here’s a look at the front of The NBA Experience. 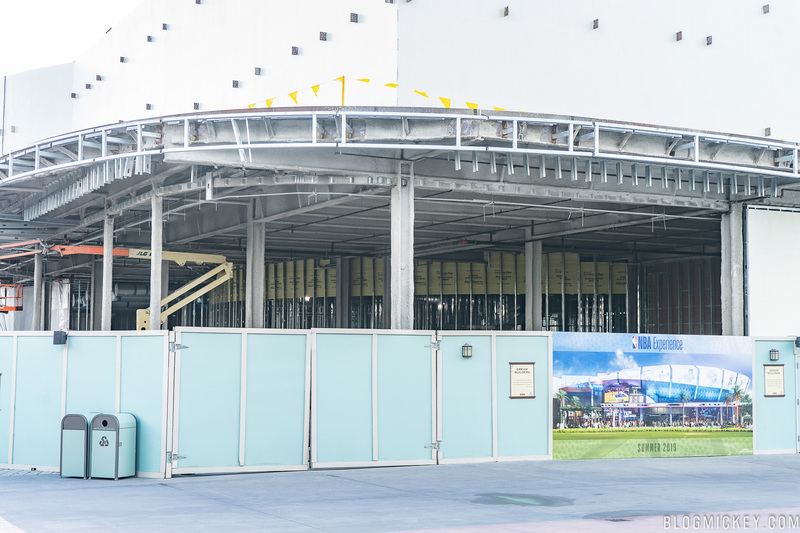 The northwest corner of the structure is reserved for Cityworks Eatery & Pour House. 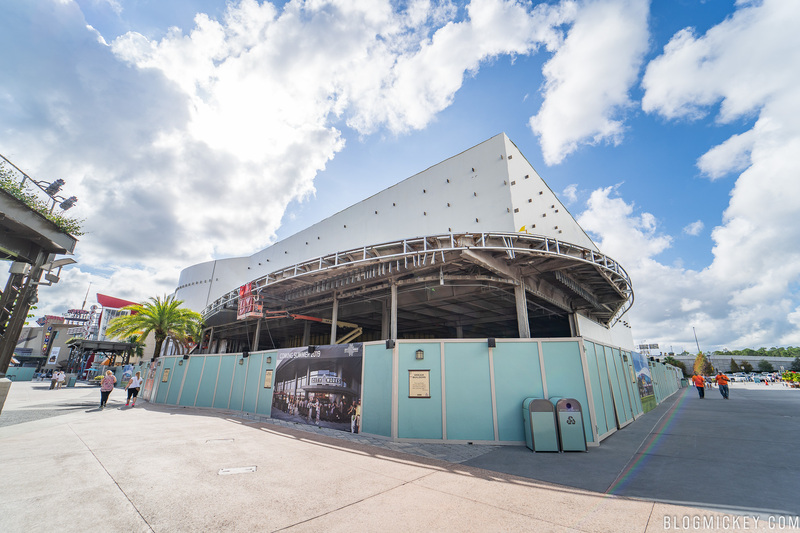 Playing with the exposure settings on our camera a bit allows us to see into the shadows of the construction. 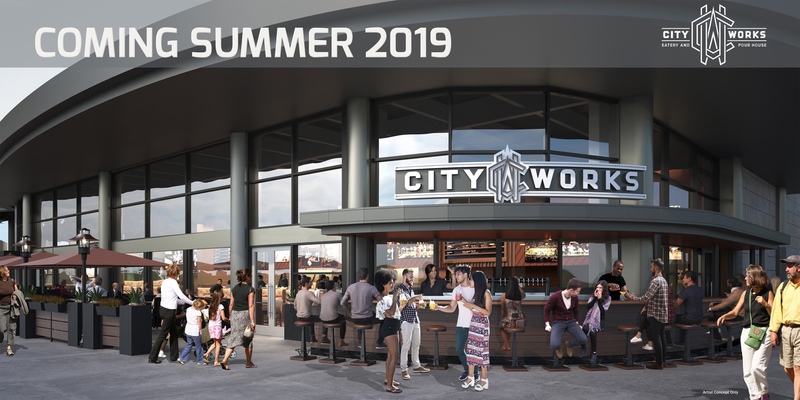 Here’s a look at the concept art released for Cityworks and some new art on the construction walls. 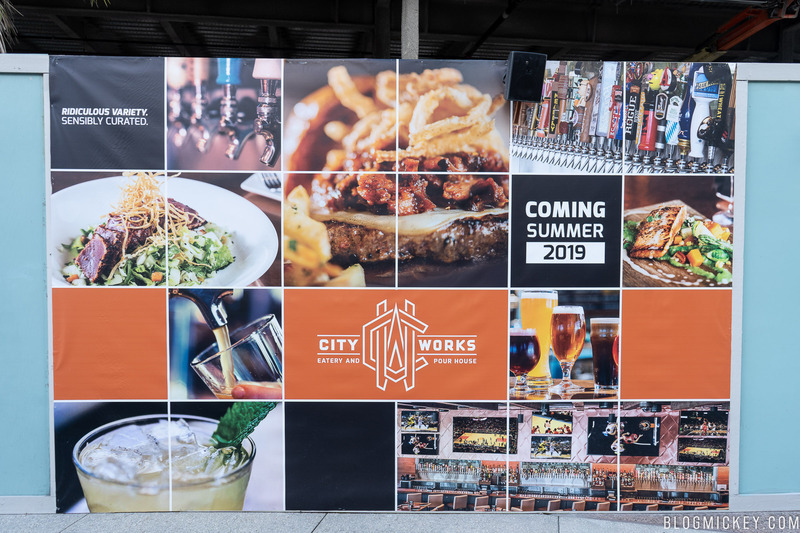 Both The NBA Experience and Cityworks Eatery & Pour House open in Summer 2019.